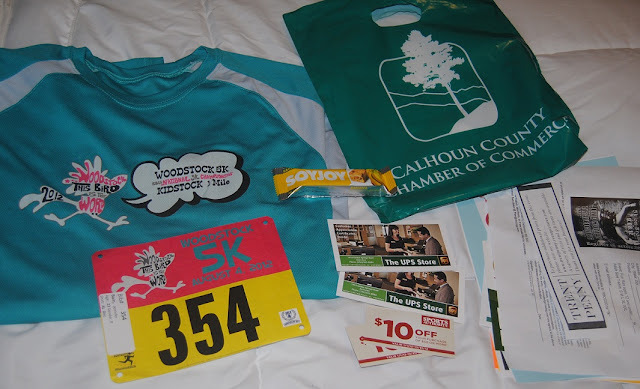 A really cool Woodstock 5K 2012 shirt, race day bib with safety pins, soy protein bar, lots of coupons for fitness stores and such, and fliers and registration forms for upcoming 5K races in the area. 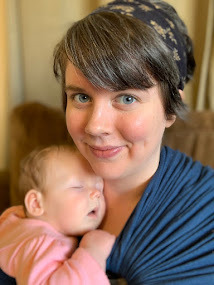 I've been trying to drink even more water than usual today, hoping my body will soak it up and keep me from passing out in the Alabama August heat tomorrow. I'm also planning to go to bed early tonight, though I know how that always goes... Those extra hours of sleep turn into extra hours of staring at my alarm clock with sickly anticipation. It's the first picture that I can actually see the weight loss. 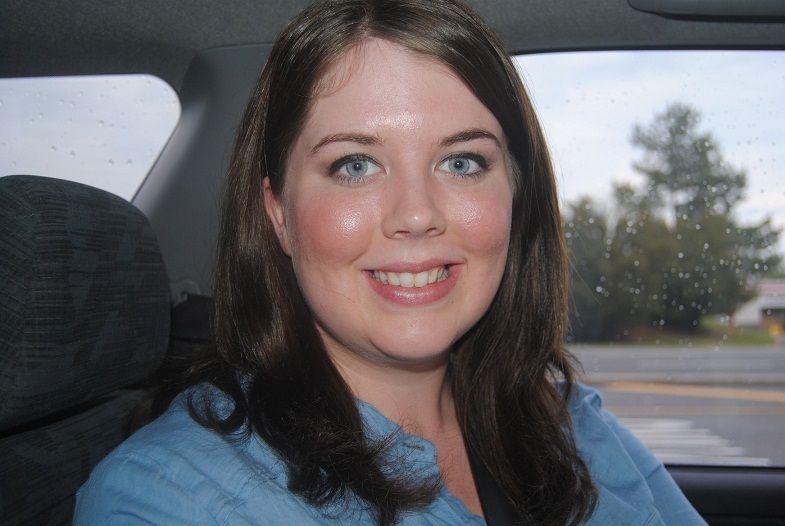 I can tell my face is slimming down, and that's quite exciting! It means all that hard work is starting to pay off. Well, wish me luck tomorrow. I'm going to walk it for the most part, but there might be a few spurts of jogging if I'm feeling crazy. Heaven knows I'm not trying to win. This is something that's waaaaay outside my comfort zone. I've never even attended anything like this, much less participated. I've always been anything but athletic. That's why I want to do it. To say that I did, to prove to myself that I can. To really publicly symbolize the changes I'm making in my life. It may take an hour to move my jiggly, bumbling girth through the course, but that'll just be my own personal time to beat. Gonna go carb load now. We did it in 46 mins! Go us! We made it. I am totes proud. Next year, we're gonna beat 46. I'm so proud of us! And yes, we will EASILY beat 46 next year if we keep up the training and I keep up the weight loss.